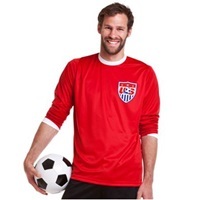 Here, you can find heat press transfers designed for sports uniforms, jerseys, apparel, hats and caps. Get custom sports heat transfers made for sports and hat apparel in any designs you have. Our innovative products offer the optimal transfer to the garment ensuring a lasting graphic, logo, lettering or label. Our Digital transfers are great for promotional items and offer flexible, crisp images on clothing of all color. This is an incredibly versatile product and works perfect as hat heat transfers. The Superflex Hot Peel (HP) is the ideal sports heat transfers for your team’s uniforms and jerseys. They are also great for other meshes and coarse or textured materials. Digital and Superflex are durable sports heat transfers, but for the absolute maximum durability in a transfer, InstaGrip is the product you’re looking for. Superior hold and lasting time, InstaGrip will give you exceptional graphics for branding or labeling while being able to withstand constant use and laundering. Check out our option of sport and hat heat transfers and give Insta Graphic Systems a call today to get started with your order.